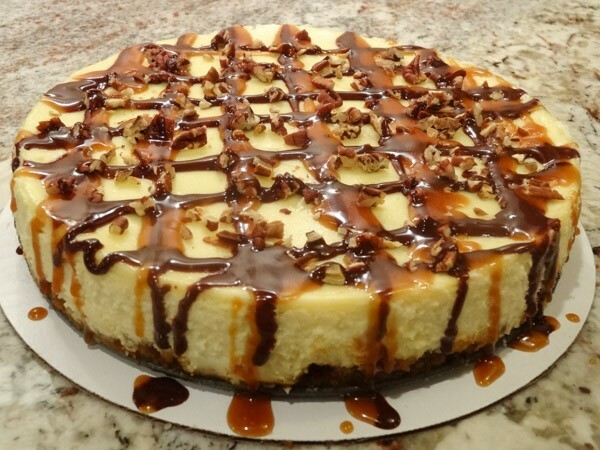 This Turtle Cheesecake recipe takes the classic cheesecake to a new level with the addition of chocolate, caramel, and toasted pecans. An outstanding dessert for a special occasion. What makes this cheesecake so special? A layer of caramel and toasted pecans are nestled between the graham cracker crust and cheesecake layer. 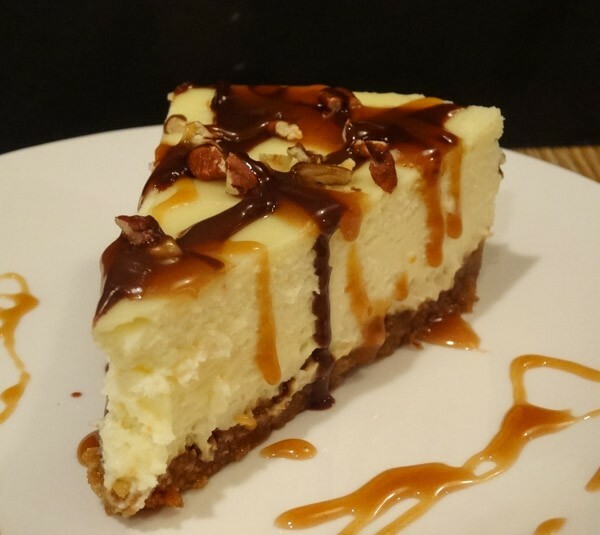 This classic cheesecake is then topped with more toasted pecans and drizzled with a chocolate ganache and caramel sauce. The results: a cheesecake impressive in looks and taste. Do you ever hate it when you’re husband makes a suggestion and turns out to be right when you were determined he was wrong? Well, this was the case with this turtle cheesecake. I originally made this turtle cheesecake with a chocolate Oreo crust. As you know, making a cheesecake is a process. 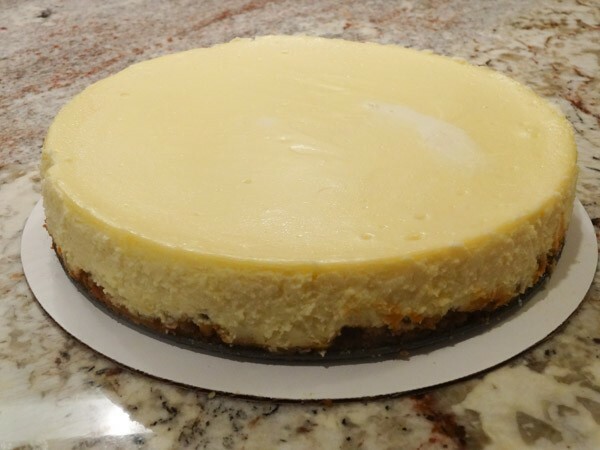 To make a successful cheesecake, it takes a couple hours of baking and cooling. Add in several more hours for chilling. It’s not like you can whip this dessert up in a matter of minutes. Even though I initially dismissed my husband’s feedback, the thought continued to niggle at the back of my mind. Would it really make a difference if I used a different crust? Were there too many flavors competing against each other? I decided to try the graham cracker crust to prove to my husband that he was wrong, but guess what, he was actually right. And worse yet, I had to admit it to him. 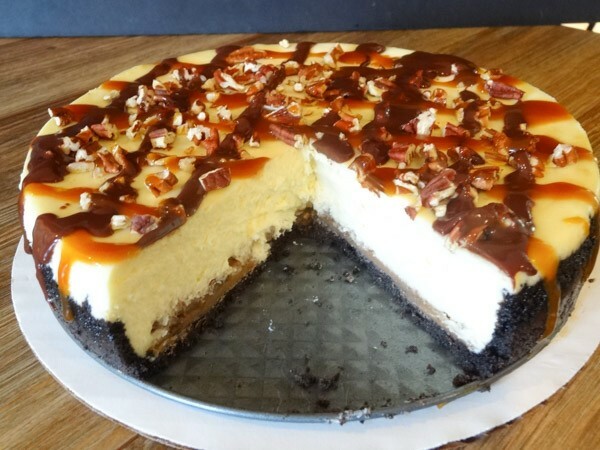 I love a chocolate Oreo crust with a chocolate cheesecake, but the graham cracker crust with this turtle cheesecake seems to enhance and compliment the caramel and pecans in this recipe. With the Oreo chocolate crust, the caramel/pecan layer stays as a distinct layer. 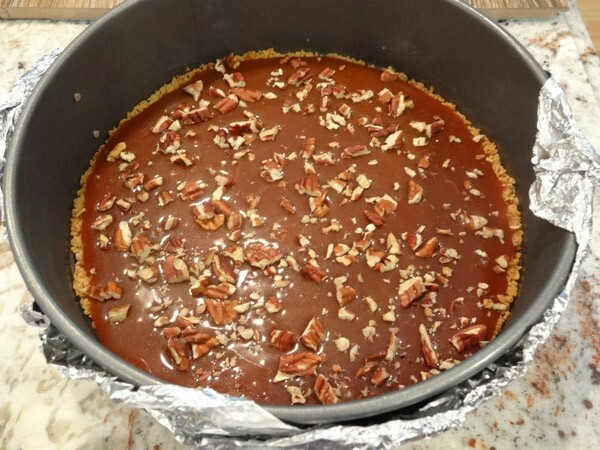 With the graham cracker crust, the caramel/pecan layer absorbs into the crust as it bakes. You’ll end up with a sticky, gooey crust that taste great. I’d recommend placing a piece of parchment paper into the bottom of the springform pan prior to baking. It will make cutting into the crust much easier. This cheesecake will require a little prep work before you actually start baking. I’d start by making the caramel sauce first. 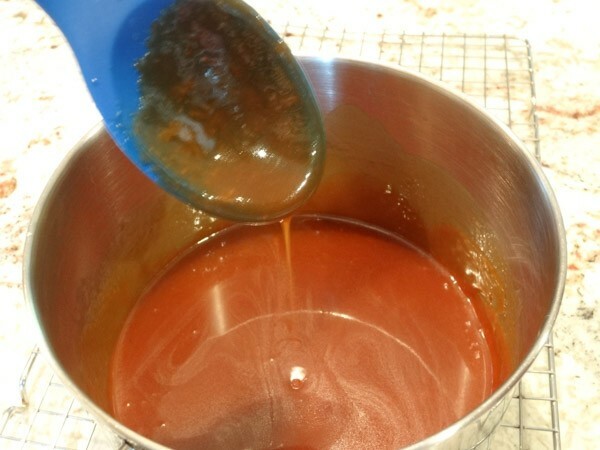 I made a homemade caramel sauce for this recipe. Do you need to make homemade? Not necessarily. But have you tasted homemade caramel sauce? It really taste so much better than store bought. I tried making caramel sauce last year with just granulated sugar and failed miserably. I have since tried Bobby Flay’s recipe and have had good success. I didn’t even need to use a candy thermometer. Adding water to the sugar first seems to be the trick. 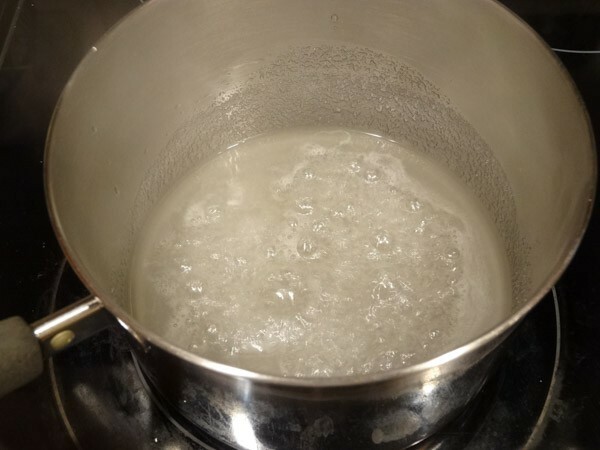 Let the water and sugar mixture boil in a saucepan for about 10 minutes on medium-high heat. Don’t stir. It will go from a clear color to a dark amber color. The second step is making the crust. Since the graham cracker crust brings out the flavors of the caramel and pecans, I’m going to give instructions for the graham cracker crust. Use a food processor to crumble one pack of graham crackers into fine crumbs. It should measure out to be about 1 1/4 cups. Add to bowl of melted butter. Toss ingredients together with fork to make sure crumbs are evenly moistened. 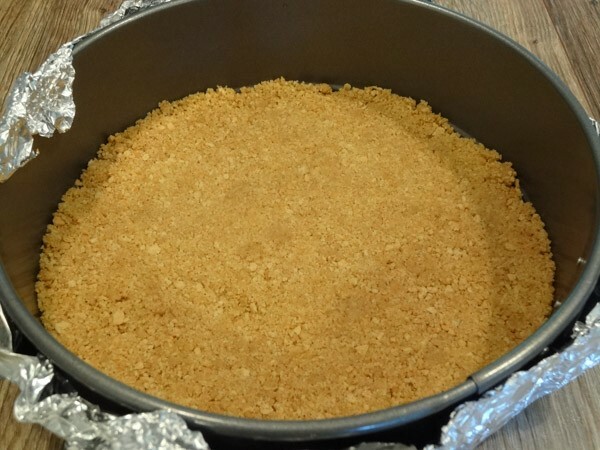 Press graham cracker crumbs into bottom of nine-inch springform pan. (Place piece of fitted parchment paper into bottom of pan as crust will get sticky). Make sure you have outside of springform pan double-wrapped with aluminum foil. Bake at 350 degrees F for 8 minutes. Remove pan to wire rack to cool and then place in freezer to chill. Tip: when I remove pan from oven, I use the bottom of measuring cup to press crust down in pan again. I recommend toasted pecans for this recipe. This step is really simple. Take a cup of pecans and place on baking sheet. Drizzle a little bit of vegetable oil over pecans. Bake at 350 degrees F for five to seven minutes. Remove pan to wire rack to cool for a few minutes and then chop on cutting board. Retrieve your springform pan from the freezer. Add a cup of caramel sauce on top of graham cracker crust followed by a half cup of chopped pecans. Store the remaining caramel sauce in a container to use for topping cheesecake. 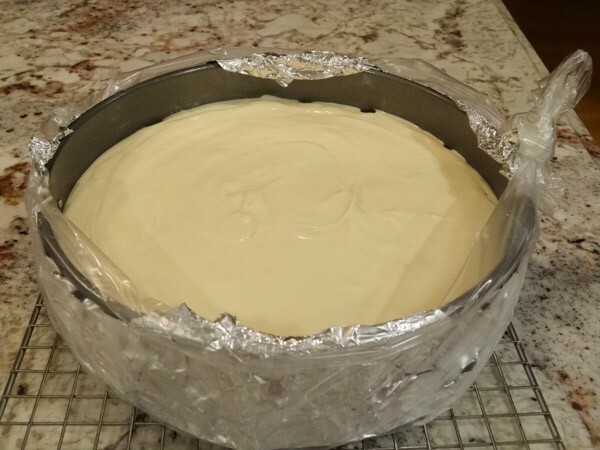 Place springform pan in refrigerator to chill while you make the cheesecake batter. In large bowl, add in softened cream cheese and sugar. Blend with electric mixer on medium speed for 2 – 3 minutes. Add in eggs, one at a time, continuing to blend on medium speed until well combined. Add in room temperature sour cream and vanilla extract. Blend until combined. Note: Springform pans are known to leak. Even though I double-wrap outside of springform pan with aluminum foil, I also use a crock-pot plastic liner and secure to outside of pan. This prevents any water from the water bath from seeping in. Pour batter into springform pan. Use spatula to even out top. Bake at 325 degrees F for 65 to 70 minutes. Center of cheesecake should be slightly jiggly. Turn off oven and crack door open. Leave cheesecake in oven for another 30 minutes. Place cheesecake on wire rack and let cool for another 30 minutes. Cover top with foil and then refrigerate to chill for at least 8 hours. 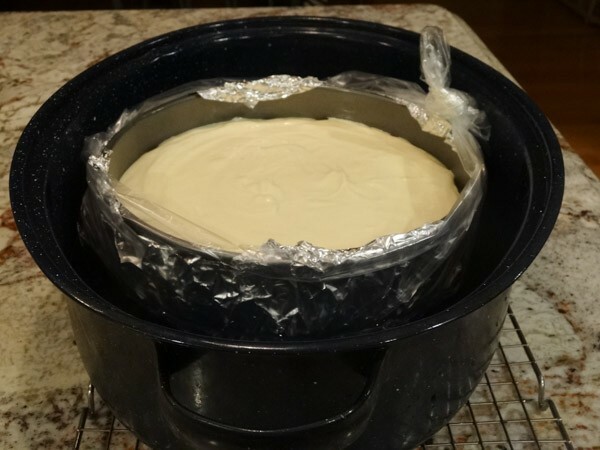 Because of the lengthy amount of time required to chill the cheesecake, I usually start this recipe on one night and then will finish it on the next day. 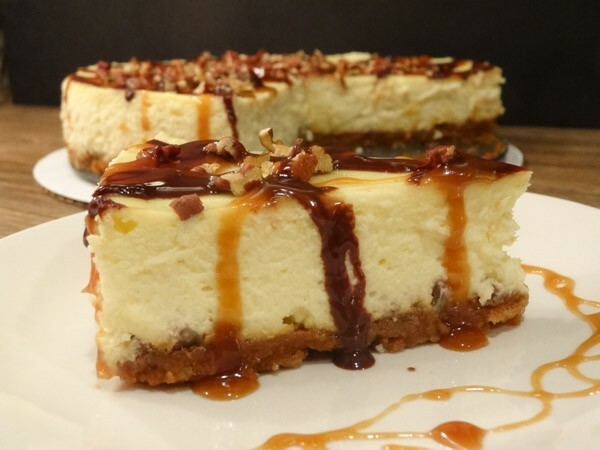 So, it’s the next day and you’re chilled cheesecake is calling out your name. 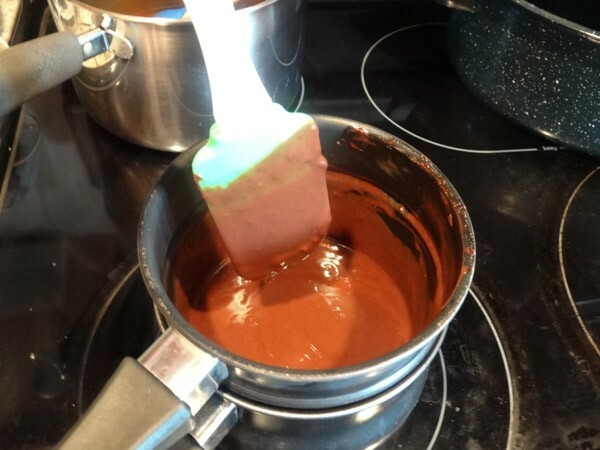 Before pulling it out, you’ll need to make the chocolate ganache. In a small saucepan or double-boiler, heat semisweet chocolate chips over low heat, stirring frequently. Add in heavy whipping cream and continue stirring until mixture has become smooth. Add chopped, toasted pecans to top of cheesecake. 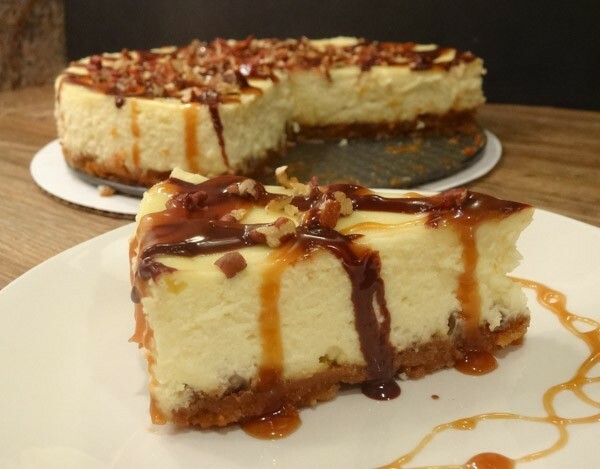 Drizzle rows of chocolate horizontally along cheesecake followed by caramel. Proceed to make vertical rows as well. 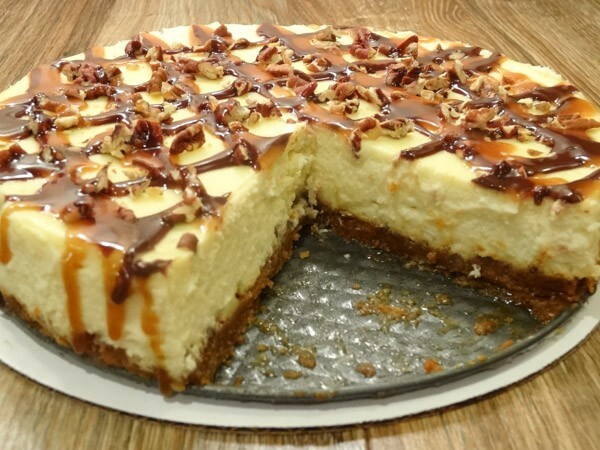 The addition of chocolate, caramel, and toasted pecans to a classic cheesecake makes this Turtle Cheesecake Recipe an outstanding dessert. Preheat oven to 350 degrees F. Double wrap 9 inch springform pan with aluminum foil. Place 9 inch diameter of parchment paper into bottom of pan. Set aside. 2. Place graham cracker cookies in food processor until finely crushed. 3. Add crushed cookies to medium-sized bowl with melted butter. Toss with fork until ingredients are evenly moistened. 4. Press cookie crumbs into bottom of springform pan. Bake for 8 minutes and then remove to wire rack to cool. Place pan in freezer to chill. Pour one cup of caramel sauce over graham cracker crust. 2. Sprinkle 1/2 cup of toasted pecans over caramel sauce. 3. 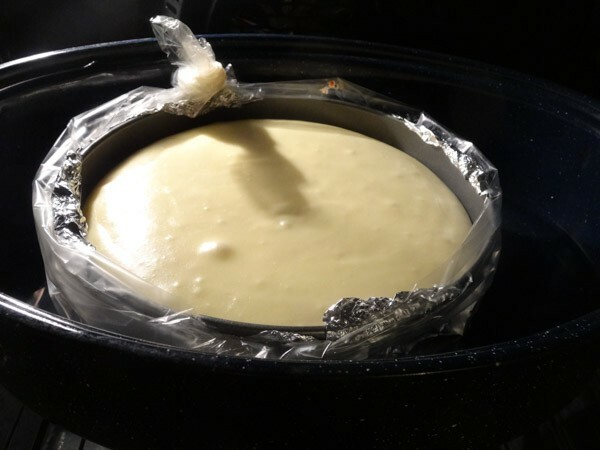 Place springform pan in refrigerator to chill while making cheesecake batter. 2. 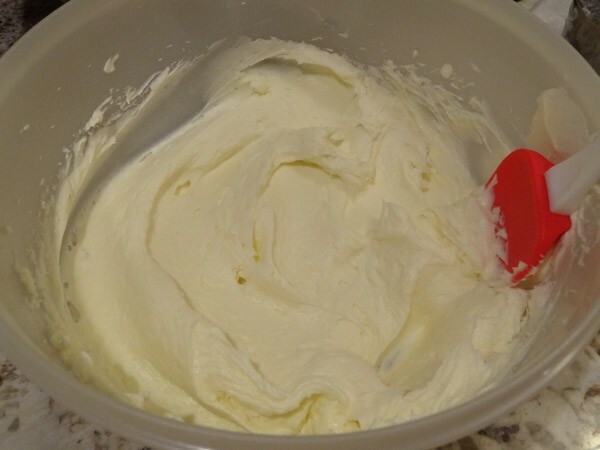 In large bowl, blend the softened cream cheese and sugar with an electric mixer on medium speed for 2 – 3 minutes. 3. Add in eggs, one at a time, until well-blended. 4. Add in room temperature sour cream and vanilla extract. Blend until combined. 5. Pour batter into 9 inch springform pan. Use spatula to even out top. 6. Place springform pan into larger roasting pan. Carefully add hot water to roasting pan so that springform pan is submerged in water by at least one inch. 7. Bake for 65 to 70 minutes. Center of cheesecake should be slightly jiggly. 8. Turn off oven and crack door open. Leave cheesecake in oven for an additional 30 minutes. 9. Place cheesecake on wire rack and let sit out on counter for an additional 30 minutes. 10. Cover top of pan and refrigerate for at least 8 hours. 11. Skim knife around edges of cooled cheesecake before releasing springform pan. In medium sized saucepan, add in water and sugar and stir together. Heat over medium-high heat for 10 – 12 minutes, or until liquid turns dark amber color. 2.Turn down heat to simmer and add in chopped butter and cream. Continue to stir for approx. 2 minutes or until mixture becomes smooth in consistency. In a small saucepan or double-boiler, add in semisweet chocolate chips. Heat over medium-low heat, stirring frequently until chocolate melts. 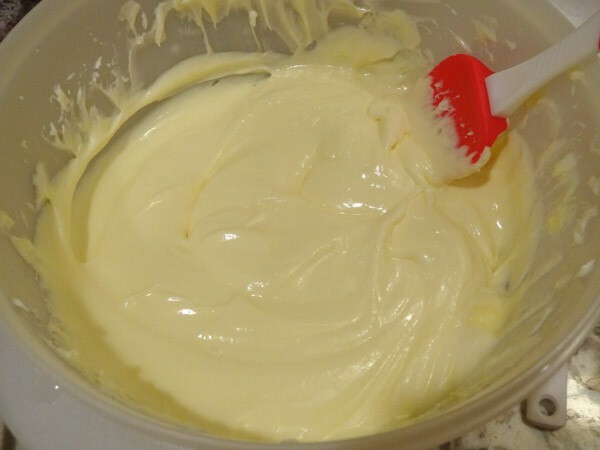 Add in heavy whipping cream and continue stirring until mixture is smooth and glossy. Remove from heat and let cool for 20 – 30 minutes. 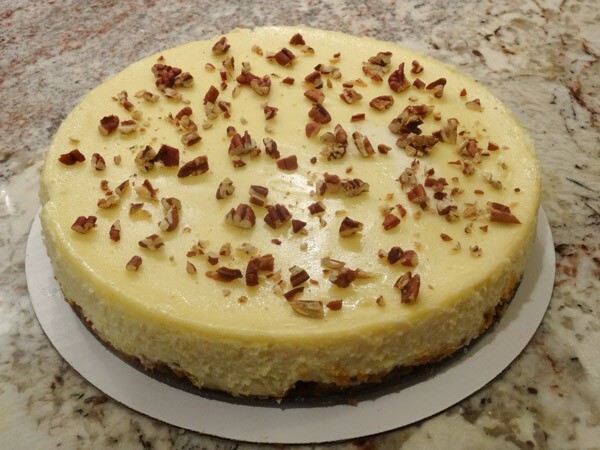 Sprinkle 1/2 cup of chopped, toasted pecans to top of cheesecake. 2. Drizzle rows of ganache and caramel sauce along top of cheesecake. Thank you. I will give it a try!